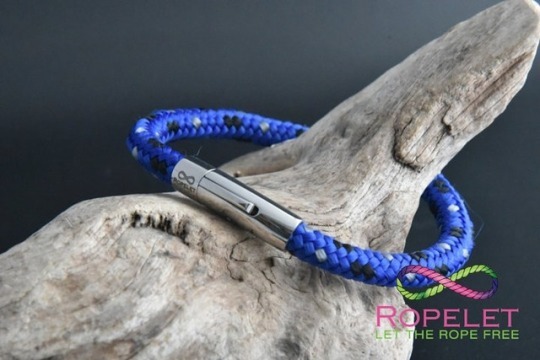 Hands up who fancies this 6mm blue With purple fleck Ropelet made to your order choices including wrist size and stainless steel clasp choice only at www.ropelet.co.uk . Our sensible prices mean you get more for your money from our ranges of quality rope,leather and stainless steel bracelets. Order yours today. 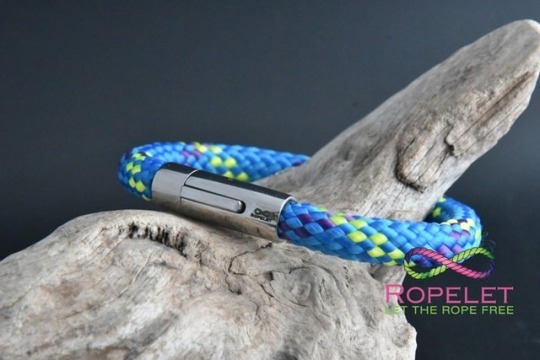 Fancy this new chunky Ropelet from www.ropelet.co.uk in blue yellow and purple? Check out our shop for loads of fab leather and rope bracelets all made to your order and wrist size but at sensible prices. Made in the UK and shipped worldwide to you. 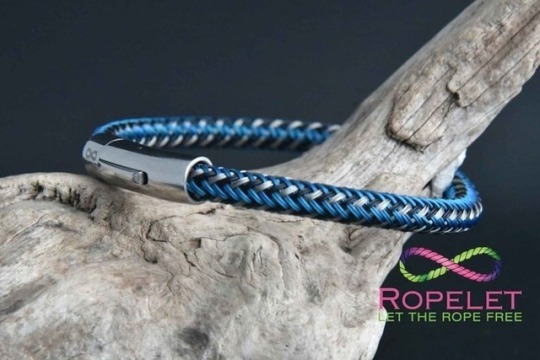 Check out this new stainless steel braid Ropelet in blue black and silver only from www.ropelet.co.uk . 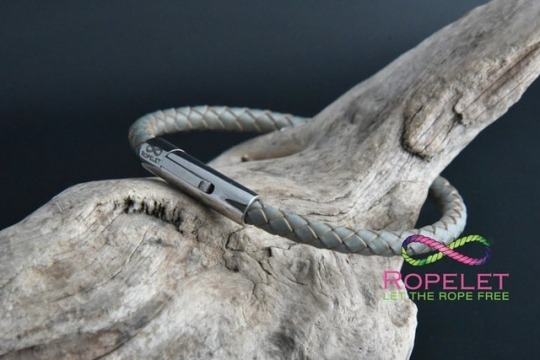 Shown with our stainless steel non magnetic locking clasp this new Ropelet is all stainless steel and looks amazing. You can see all our leather and rope bracelets at great prices in our online shop where we make each one to your order needs. Special introductory offer on this one so be quick. 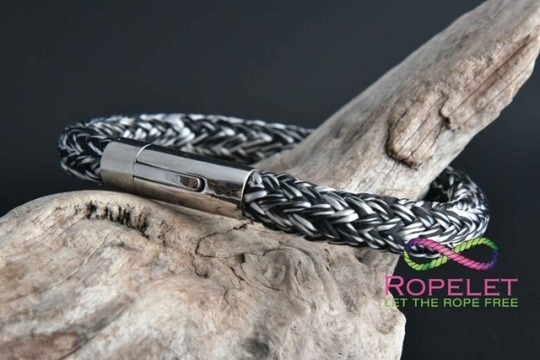 How striking is this Ropelet in black and silver only from www.ropelet.co.uk and we make it to your wrist size and clasp choice at an amazing price. See all our leather and rope bracelets in our shop at really great prices using top quality ropes and leathers coupled with stainless steel clasps. 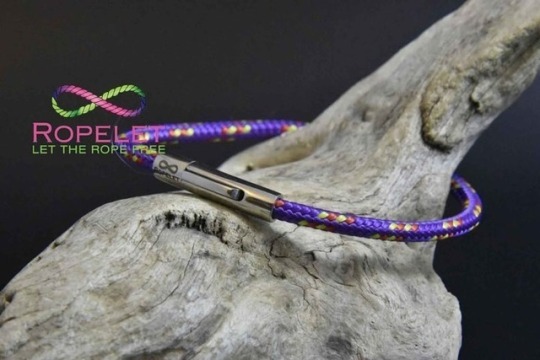 We have just added this new 4mm purple red and yellow Ropelet to our shop www.ropelet.co.uk . With our options of clasp, wrap and wrist sizes isn’t it time you created yours to style your wrist. See all our leather and rope bracelets at great prices made just to your order in the UK and shipped worldwide. 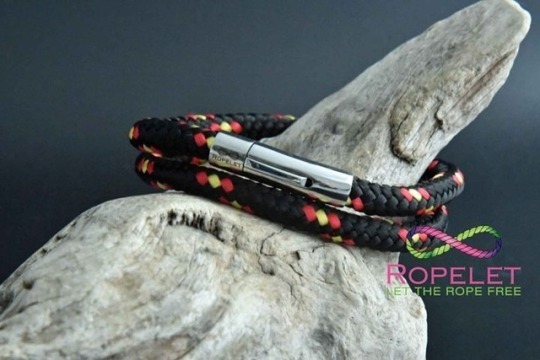 Fancy your Ropelet add a double wrap like this black red and yellow one then go to www.ropelet.co.uk for our amazing leather and rope bracelets that you choose how ithey are made. With no huge prices you get a quality bracelet at a great price. 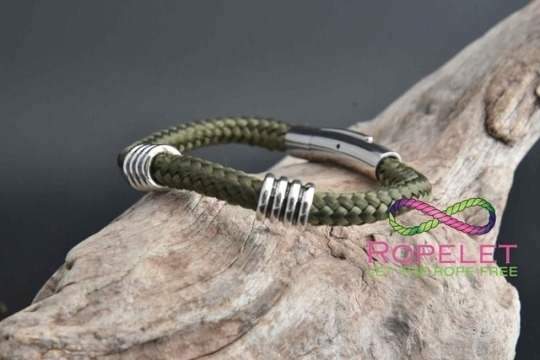 Fancy this lovely olive green Ropelet with tube beads and your choice of clasp made to your wrist size at www.ropelet.co.uk . It’s just one style from a huge choice of leather and rope bracelets at great prices, made in the UK and shipped worldwide. Another new Ropelet joins the collection at www.ropelet.co.uk ready to be made for your wrist. 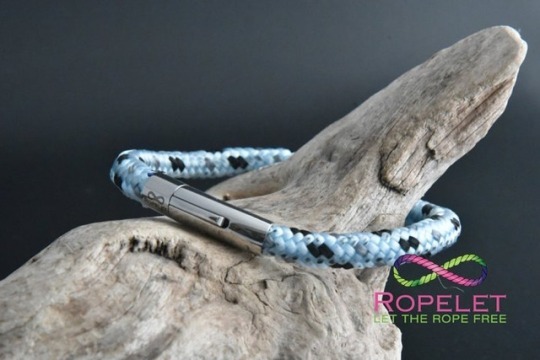 This baby blue black and grey rope bracelet comes with clasp,wrist size and wrap options plus the ability to add charms and a gift tin at an amazing price too. See all our leather and rope bracelets in our shop. Need a #giftforhim this Christmas, why not get a beautiful Ropelet like this silver/grey leather one which we make to your order choices at www.ropelet.co.uk including clasp choice and wrist size. We have a huge choice of leather and rope bracelets at great prices waiting for you. This blue black and grey Ropelet is new to our shop at www.ropelet.co.uk and is ready to be made to your order and wrist size. You have options of clasp choice, wrist size , wrap and the ability to have charms and a gift tin too. Check out our full ranges of stunning leather and rope bracelets at great prices, all made in the UK and shipped worldwide.